Long ago there was a King and a Queen who had a daughter named Snow White. The queen died while Snow White was young. The King raised her by himself for awhile, but then decided to marry again. He married who everyone knows as the Evil Queen. After they got married the King heads off to battle the “beast” in the forest and he never returns. 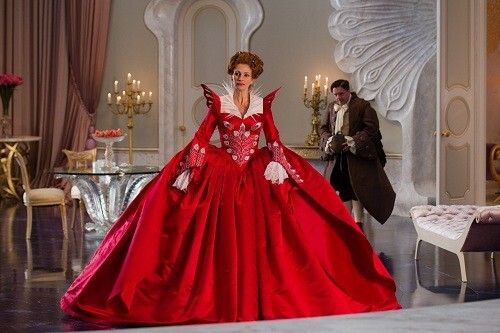 The Evil Queen (Julia Roberts) raises Snow White on her own. She keeps her locked in her room for most of her life and doesn’t let her leave the castle walls. 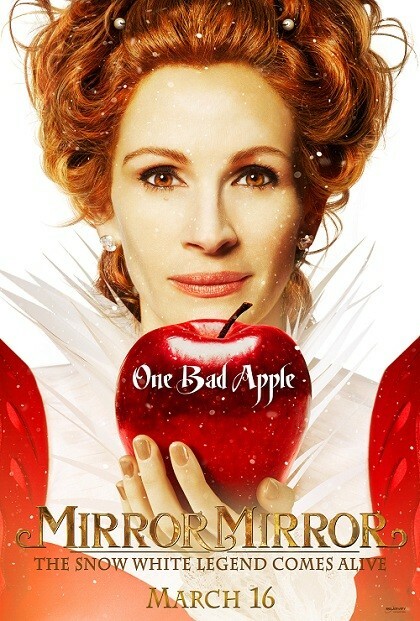 Under the Evil Queen’s control, she lives beyond her means. She throws extravagant parties with fancy feasts, decor, & dresses. When she can’t afford something, she just raises the townspeople’s taxes. Snow White “sneaks” out on her own to see how the townspeople live. They are all poor, with hardly any food. In the forest she runs into the 7 dwarves, who turn out to be thieves. They’re only thieves because they were banished from the town by the queen when she banished all the uglies. Meanwhile, the Queen tries to get Prince Charming to marry her because he is wealthy, and she’ll be rich again. Unfortunately for her, he is smitten by Snow White. So, she throws a spell on him, so he will marry her. 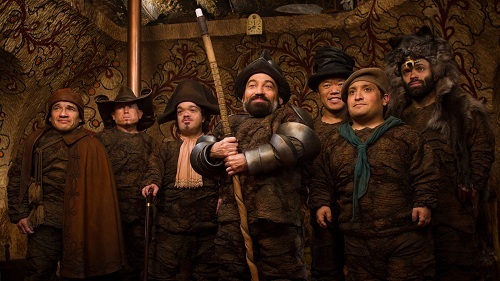 Will Snow White and the dwarves stop the Queen from marrying the Prince, and save the town from her rule? I’m sure you can guess since just about every fairy tale ends with “…and they lived happily ever after”.